The Buddhist jataka tales are simple lessons in living with honesty, wisdom, and compassion that contain the power to transform the hearts and minds of those who hear them. They are stories of the Buddha’s past lives—in such forms as a boar, a parrot, a monkey, or a peacock—that have enchanted children and adults for millennia. Their animal characters powerfully and sometimes humorously demonstrate the virtues and foibles to which we humans are prone, and they point the way to more enlightened ways of living. 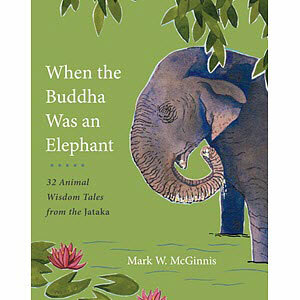 Mark McGinnis retells the jatakas in poetic and accessible language, rendering the Buddhist teachings they contain abundantly clear. Each tale is brought to life by Mark’s full-color illustration, making the book a visually stunning entrée to this edifying and highly entertaining literary tradition. 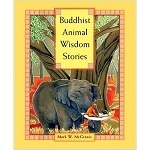 A treasury of traditional Buddhist wisdom tales, illustrated with gorgeous original artwork. Hardcover, 2015 edition, 96 pages.